nopCommerce is a great platform for quickly (and cheaply) setting up a new e-commerce store. As you get started, seeing new traffic on your website is always exciting; but there is nothing more disheartening for a business than watching those visitors leave without becoming new customers. How can you convert those clicks into cash? Enter Conversion Rate Optimization (CRO). Check out these five great tips for enhancing your site’s conversion rate. As any SEO or copywriter will tell you: Content is king. There is no replacement for quality content when it comes to conversions. Use your site’s copy to engage users and move them in the direction you need them to go. Good content is your chance to connect with new visitors and show them why they need your products. Don’t skimp on this valuable asset! Whether you highlight case studies, user testimonials, or survey results, make the positive eventualities and outcomes of using your products a visible component on your website. Showing off your accomplishments gives you an inherent essence of credibility, allowing your visitors to better connect with what you have to offer. Infographics, review widgets, and more can build great trust and also contribute to your content. Limited-time promotions or offers create a sense of urgency within your visitors, prompting them to invest rather than exit. Big players like Amazon utilize this tactic to add inherent value and excitement to the products offered. Just a little bit of productive pressure can incite more follow-through with purchases. If it seems as though you’ve tried out all of the basics and still aren’t seeing the results you’d like, there’s absolutely no problem with checking out the competition. Compare what you’ve done with what they’re doing to see if you may be missing something. The point is not to copy what someone else has implemented, but simply to shed light on an aspect you may not have tried to give you some new ideas. No matter your CRO strategy, you should always count the conversion game as one of trial and error. As with most web-based fields, eCommerce is constantly growing and changing, so what worked last month may no longer be pertinent today. Test new forms, different colour schemes, varying CTA placement, everything! Monitoring the difference from old to new can help continually steer you in the right direction for conversions. While choosing a new web host, make sure you don’t make the same common mistakes that most beginners do. 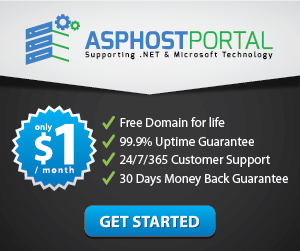 A few of my favourite web hosts are: ASPHostPortal.com, UKWindowsHostASP.NET, DiscountService.biz. I recently reviewed ASPHostPortal.com and in my opinion they’re the best shared host out there out of the large lot of hosts I’ve tested. If you’re curious as to why I never had to switch to another host.